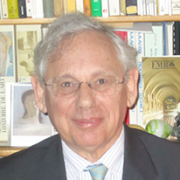 François Arlabosse, Paris, France, graduated in mathematics from the University of Nancy and Paris, obtained a diploma in electronic and nuclear physics engineering from E.N.S.E.M. Nancy, followed by a long and distinguished career in Artificial Intelligence. François was instrumental in forming Framentec-Cognitech a division of Framatome when Teknowledge spinoff of Stanford University, USA formed a joint venture with Framatome. Framatome changed it’s name to Areva NP, and is a world leader in the design and construction of nuclear power plants, and the supply of fuel, maintenance and modernisation services. Francois was a technical adviser to the main board. Amongst the many European ESPRIT projects he has contributed to are ESPRIT P387 ‘KRITIC’ Knowledge Representation and Inference Techniques in Industrial Control, ESPRIT I Project 1592 ‘TAO’ A Therapy Adviser for Oncology, ESPRIT II Project 2043 ‘MARIE’, Mobile Autonomous Robot in an Industrial Environment, ESPRIT II Project 2256 ‘ARCHON’ a general purpose multi-agent system architecture for industrial applications and ESPRIT II Project 2152 ‘VIEWS’ a project for the intelligent evalution of computer aided vision of outdoors scenes . François was appointed chair of a commitee of ERUDIT supported by the European Commission DG III Industry – Esprit Programme as a Network of Excellence and he is also an external assessor for technology projects supported by the European Union, the French and Canadian governments. Magnus Isenberg has been working as a development engineer for over 30 years. He is a consultant to Relacom. Relacom is a global supplier of network services who provide field-managed network services at homes, in offices and on networks in northern Europe through more than 250 offices in Sweden, Norway, Finland and Denmark. Magnus has also managed the migration from Movex M3 an ERP platform using Oracle to a Relational Database Management System (RDBMS) IBM DB2 and recently to Microsoft SQL Server.